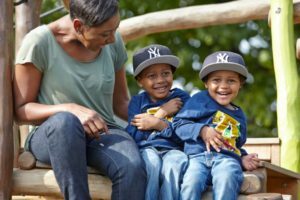 Welcome to part 2 of the London Regionalising Adoption Project autumn 2017 newsletter. We had so much to share we had to split the newsletter into two! If you missed it, part 1 is here. This newsletter is coming to you during National Adoption Week, a time when all of us working in the field of adoption are even more focused on the positive change adoption makes for vulnerable children. Therefore it is fitting that the London Regionalising Adoption Project shares this update on the progress of the project and plans for adoption in London. We hope you have been able to help to share the adoption message this week. It is only a couple of weeks since our previous update, but already the project has made more progress. The project interim Chair, James Thomas, has been meeting with the Directors of Children’s Services across the London Boroughs to discuss the proposed Outline Business Case, in readiness for the circulation of the draft Outline Business Case at the end of October. A further update will be shared in November with a summary of this. A detailed analysis of the individual Local Authority budgets has been carried out, which will be informing the Business Case. What’s next for the project team? We will be finalising the draft outline business case for approval by the Association of London Directors of Children’s Services at the end of October. We will also be setting out the stakeholder engagement plans, which will include workshops, and webinars over the coming months. The DfE has confirmed that the two bids submitted by the LRAA and Coram to the Practice Improvement Fund have been successful. This is great news for the sector and particularly for London. Coram-i have been awarded £280k over two years to support the London RAA in developing a regional approach to matching. Coram-i will want to work with practitioners from the London Local Authorities and Voluntary Adoption Agencies to design, test and refine this approach. Their methodology will ensure the approach developed is fit for purpose while also benefitting children and adopters, as they will be actively looking to identify potential matches throughout the project. Your input into this project will be important: do not miss the opportunity to contribute so that you can have a say in how matching in the RAA will work. There will be workshops over the next couple of months where you can find out more and be involved in the initial developments of this project. More details on these will be circulated soon. Providing places on dedicated preparation groups for applicants who are interested in becoming foster for adoption or concurrent carers. That means taking on the responsibility of fostering a young child during court proceedings, with the possibility of adopting the child, depending on the outcome of the proceedings. Providing support groups for adopters/foster for adoption carers with very young children in placement, which are staffed by social workers and also by a clinical psychologist/child psychotherapist, who is able to provide informal consultation to the carers/adopters of these vulnerable children. If you are interested in learning more about these workshops or the work of the London Adoption Board please contact Helen Edwards, advisor, hesafeguarding@gmail.com or your consortium coordinator. The project team will continue to update the FAQs and will let you know when new updates have been posted. The LRAA project team is actively working on engaging with as many stakeholders as possible. A key piece of this engagement work is ensuring we are incorporating adopter voice into the project development. To ensure we do this well, we are working with partners including Adoption UK and We Are Family on mapping out a detailed engagement plan. Watch this space for more information about how to get involved.